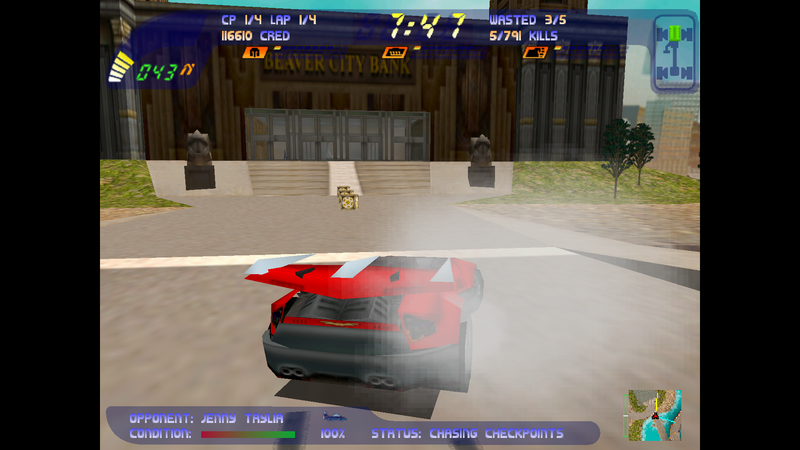 GOG library just got a bit bloodier with the addition of Carmageddon 2: Carpocalypse Now. I tend to like games with a bit of meat to them. More often than not you'll find me occupied with an RPG that, at best, will take me weeks to finish, if not months. Every now and then however, the credits will start to roll on my latest epic and I'll feel the urge to play something simpler where the sole focus is making things go boom. 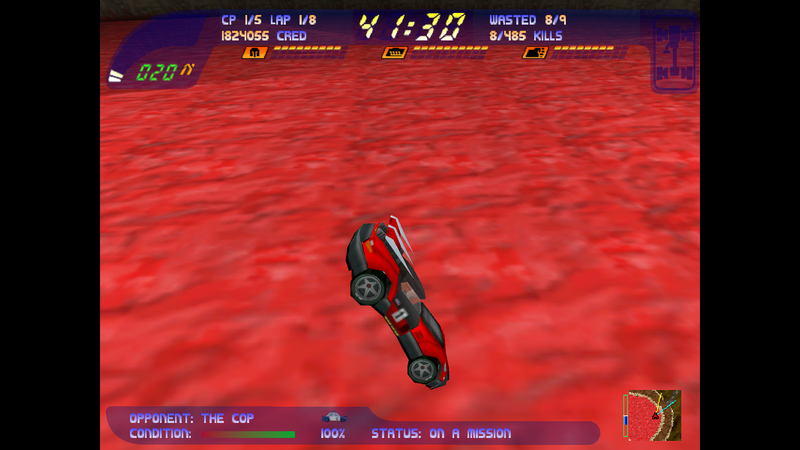 Carmageddon 2: Carpocalypse Now, newly available at GOG, pretty much fits that bill perfectly. It's a violence fest that doesn't try to hide the fact that its foundation is shallow virtual carnage. 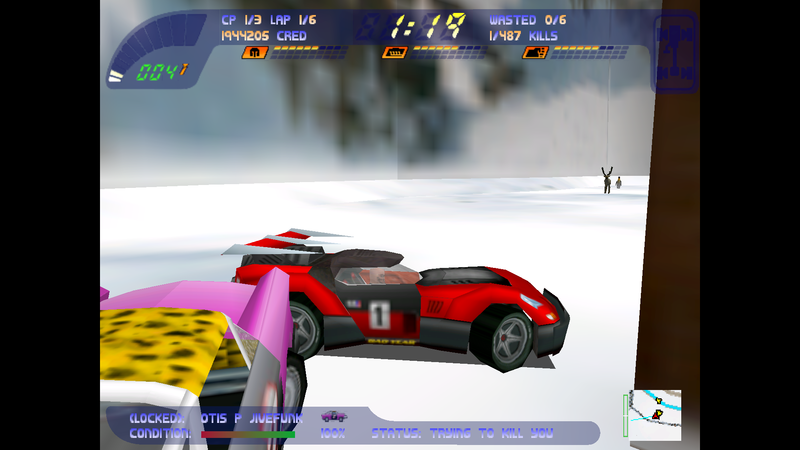 To its credit, even after fifteen years, Carmaggedon 2 is still thoroughly fun with a lot to offer prospective players. I liked, for instance, how large and explore-able the game's maps (30 in total with 10 mission levels) were and appreciated the multiple options you're afforded to complete them. 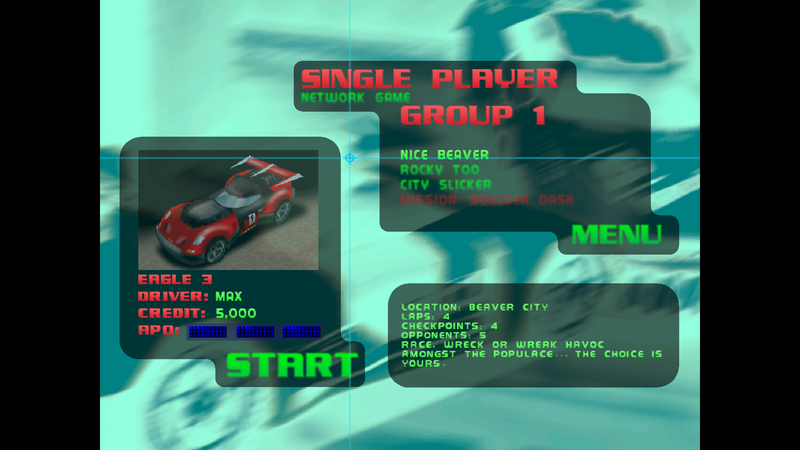 If you want to race, the mini-map plots out a course. If you want to destroy your foes or slaughter every living thing in the map, that's a viable choice too. The only thing not allowed is inaction. A ticking clock starts counting down the moment you begin a level and if it hits zero it's an automatic game over. 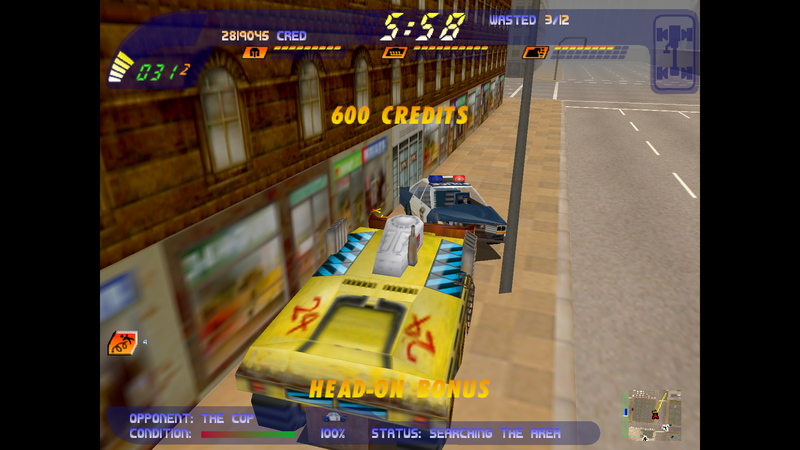 Earning more time requires you to do things like kill pedestrians and damage enemy cars. Partaking in those activities will also earn you credits that you can spend to repair and improve your ride, or save up to unlock other vehicles which run the gamut from your standard sports cars to WW2-era fighter planes. 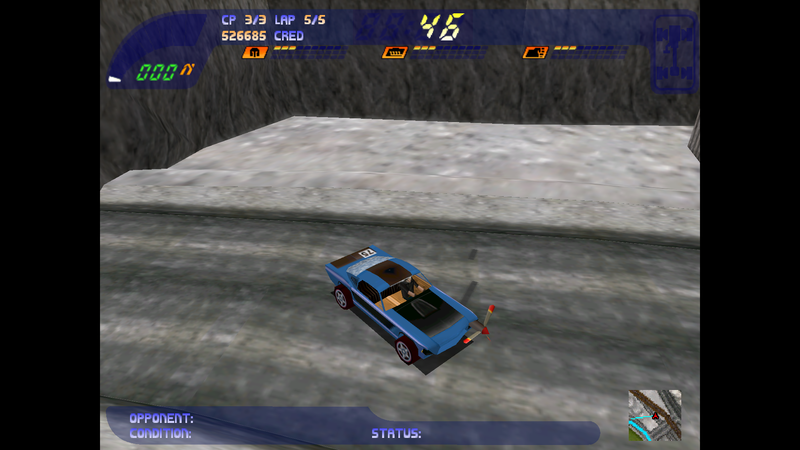 The game also boasts an array of power-ups almost as diverse as its cars. Some are straightforward things like time extensions or free repairs. Others, however, are clearly there just to liven things up. 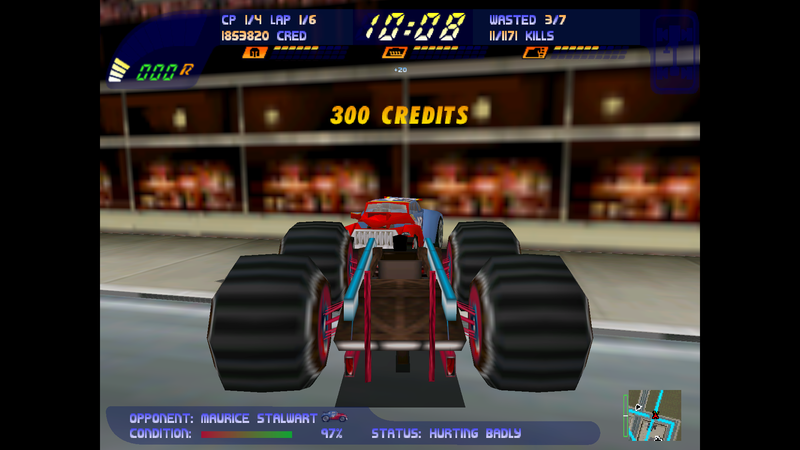 The game has particular fun with its pedestrians, forcing them to dance, shrink and explode when the right power-ups are in play. 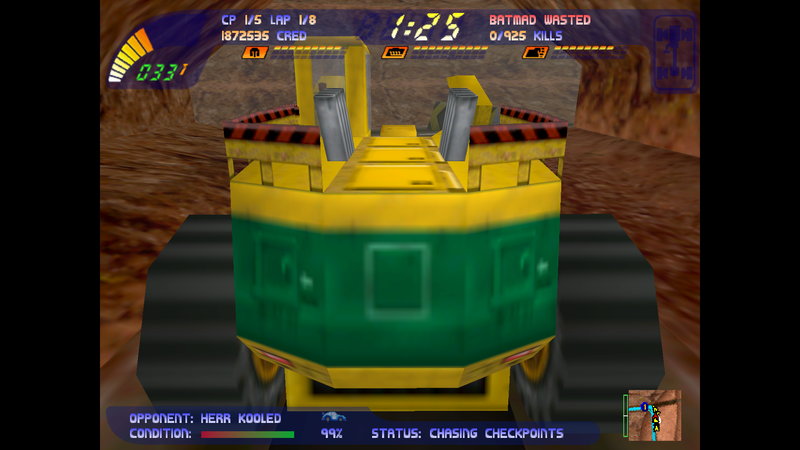 All of this said, I would be lying if I were to say that Carmageddon 2 hasn't formed some wrinkles since its original release. The visuals, for instance, have aged pretty poorly. You'd have a hard time finding anyone that would compliment the game's visuals nowadays. More problematic is its AI, which is inconsistent at best. Enemy cars will bounce back and forth between being relentlessly aggressive and paralyzed with stupidity. Sadly, it does take some of the satisfaction out of it when your opponent sits there and does nothing while you smash them to bits. I had hoped upping the challenge might remedy this, but I was disappointed to find my foes' intelligence just as bi-polar even on the higher difficulty setting. There are other issues, but they're of the quibbling sort that doesn't really detract from the game on the whole. 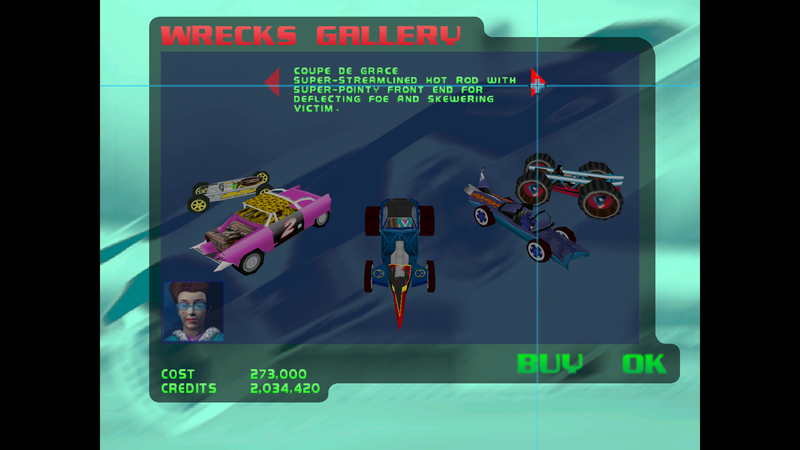 Put shortly, Carmaggedon 2 is a fun game to play when you feel like something irreverent and mindless. It has developed some rough edges over the years, for certain, but you could do a lot worse for $9.99.